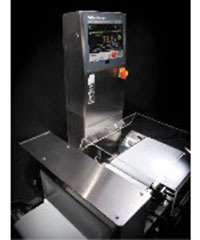 Checkweighing pharmaceutical and industrial products is seamless with the SSV-h series. Equipped with a high speed and highly accurate force balance, every product is measured precisely to ensure each package contains the required amount of product. This line of weighing systems meets the varying needs of operators, quality control managers/site supervisors and corporate managers. 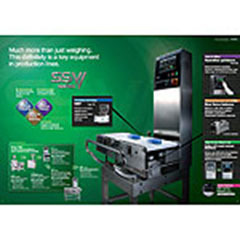 Equipped with Smart Measurement Function (SMF), the high accuracy SSV-h series integrates innovative signal processing along with improved scale resolution to reduce unnecessary rejects and maximize line productivity. The SSV-h series gets its high speed and high level of accuracy from the force balance. If you are in the pharmaceutical or industrial industry, these checkweighers will meet your needs, making sure you are HACCP compliant. 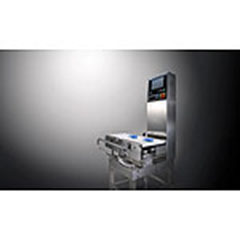 Make sure your next weighing system has a rapid response function for various needs, such as the effective use of raw materials in the weighing and packing process, loss prevention, quality improvement, etc. The Anritsu SSV-h checkweighing series predicts hazards in advance, and critical points are monitored throughout the entire process for ultimate product safety. 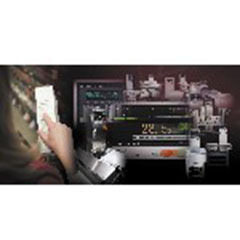 Anritsu builds decades of expertise into each checkweigher. Thousands of food and pharmaceutical companies all over the world specify Anritsu checkweighers for their packaging lines. With a maximum accuracy of ±0.01 g, the SSV-h series checkweigher reduces unnecessary rejects and maximizes line productivity. The modular design allows for superior documentation and overall system reliability not seen with custom design solutions. Overall savings are seen in maintenance costs. Tool-free belt removal and open frame construction provides a means to quickly clean the system and reduce cleaning costs. With hundreds of standard models, Anritsu will likely have a solution pre-engineered and ready for production. Ask us for a free quote to learn more.